It was a thrill to be invited to speak at the Green School again. 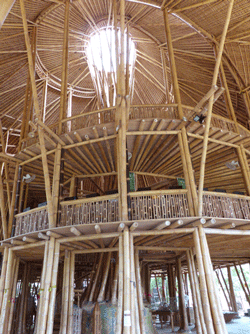 This is a fabulous school made entirely of bamboo. Sarita Pockell kindly organised a driver to collect me at 7am and one hour later I arrived. A teacher gave me a welcome drink of freshly-blended strawberries, it was delicious. First, I talked to parents who generously sponsored some of my books to the school’s library. 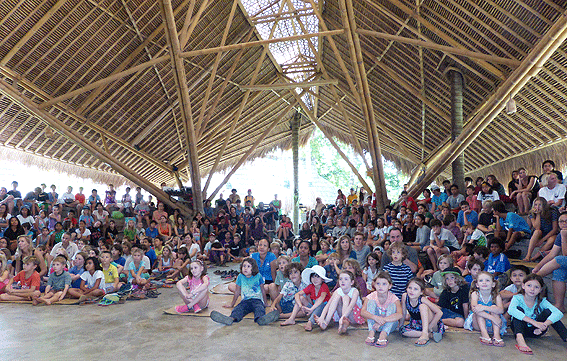 Then I talked to the whole school in an open bamboo structure, it was a wonderful experience. 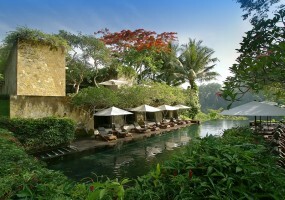 Back to the Maya Ubud Resort to relax and be pampered. I had a private villa with a lap pool and I looked out to a tangle of lush tropical plants. I especially loved my bed with its romantic setting. This is the most beautiful resort in Bali.